Club Penguin Cheats by Mimo777 Club Penguin Cheats by Mimo777: Club Penguin Pin Cheat -SANDWICH PIN! 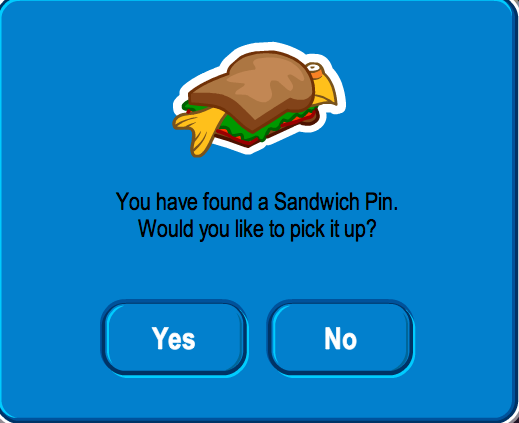 Here is how to find the new Club Penguin SANDWICH PIN cheat. Step 3. Go into the Cave Mine and next to the "chocolate pudding." Wow, a fish sandwich AND chocolate pudding! Makes me rather hungry, you? ...and not only is it a pin, it's also a fish sandwich - yum! you can get it again for 15 coins! Well the way i look at it what would they do for a gameday pin? Also if the did it would be later because they want the game to catch on before they make a pin for it. Anyways you do get a stamp if you have it? So what if they didn't mark it. Pins are pointless anyway. man im hungry! 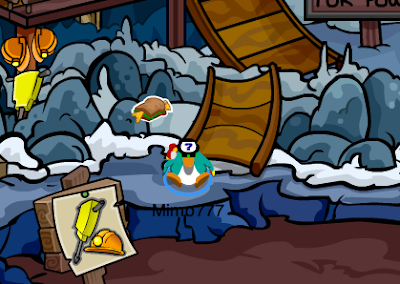 i know lets go to the cave mine to get a fish sandwich (eats sandwich), maybe i shouldnt of eaten that it has been laying on the floors for days. anoymous said..mmm i can taste it now.